In today’s fast-paced office environment, there’s less and less time to get everything done — and more pressure to get it right the first time. Businesses around the U.S. rely on Certified Mail®, but preparing the forms and envelopes by hand is labor intensive and inefficient. Do these Certified Mail challenges sound familiar to you? If so, it’s time to automate your Certified Mail and take back hours from your work day! Reduce administrative errors – With critical communications, the margin for error is essentially zero. Automation significantly cuts down on the risk of error when you can’t afford to get it wrong. Track mailings without the run-around – Instead of Return Receipt “Green Cards” floating around the office and cluttering your workspace, the best-automated solutions keep all of your tracking information secure and accessible digitally in one place. Manage Certified Mail with enhanced digital tools – Besides being a drain on physical resources, preparing Certified Mail by hand can only take you so far. With Certified Mail Automation, you unlock a vast array of features that make Certified Mail work better, faster and easier for you. 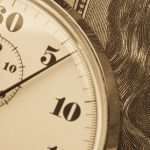 Take the guesswork out of postage costs – Like any other variable, postage can become an unpleasant surprise. With a built-in postage calculator, you enter your Certified Mail service type and weight and learn exactly what you can expect to pay. Scale up or down with volume fluctuations – In the modern office, no two days are the same, and that often includes the quantity of Certified Mail you need to send. With automated resources cutting out the most time-consuming parts of the process, you can take mail volume fluctuations in stride. The pressures are piling up. 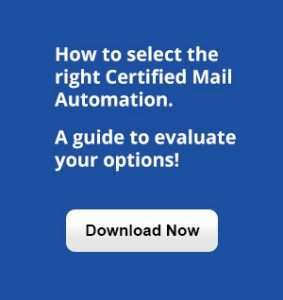 Let WALZ Certified Mail Automation pave the way to success. Today, more than ever, the pressure is on. You’re expected to get more done with fewer resources — and without any mistakes. It can feel intimidating at times. To succeed, you need tools that work for you. And you need a partner that understands Certified Mail. Focus on core values instead of processing mail – Success in a modern office is closely tied to efficiency. We’ve designed our technology to free up staff so they can focus on other important tasks that your organization needs the most. Save time and reach new levels of efficiency – Efficiency is not just a buzzword, it’s an urgent concern for every business — and it’s our commitment to you. For example, with Walz Certified Mailer™ envelopes, there are no labels to peel and stick and no Green Cards to apply to envelopes. Reduce labor costs – Critical communications are a high priority, but in most offices it just isn’t feasible to dedicate staff solely for managing Certified Mail. No one in your office is hand-writing letters, because you have email. 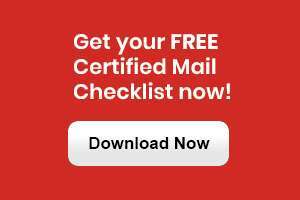 Why keep hand-writing your Certified Mail? Customize your reports to answer the right questions – When you need visibility into your critical communications, you need automation. We deliver the right technology to customize and generate tracking reports on-demand, and to search and sort your Certified Mail data by date range, mailing status and more. Automation enhances every aspect of the Certified Mail experience – From importing and managing your recipient lists, to creating batches of Certified Mail in seconds, to tracking and managing returns on the back end, every step in the process is better, faster and easier with WALZ Certified Mail Automation. Our solutions are scalable, from one letter at a time up to 1,000, and our clients save an average of 7 minutes per mail piece. Certified Mail Automation in action – Don’t just take our word for it: here’s real-world proof that WALZ Certified Mail Automation can empower your team to deliver powerful results, no matter the size of your company or the volume of Certified Mail that goes through your office. The Kentucky law firm Sturgill Turner sends an average of 100 pieces of Certified Mail a week. Previously, the firm’s employees had been hand-writing dozens of Green Cards and USPS® forms at a time. After implementing WALZ Certified Mail Automation, Sturgill Turner. Click here to see how they saved with Certified Mail automation. Percussion Petroleum, LLC is an independent oil and natural gas company in Texas that uses Certified Mail to communicate with state and federal agencies and well owners around the country. After implementing WALZ Certified Mail Automation, Percussion Petroleum’s staff is now saving 100+ hours every year on Certified Mail. Click here to read the full case study.